I have been an avid promoter of Benefit's POREfessional ever since I first bought it a couple of years ago, this was around the time that I had my first Benefit Makeover, which you can read about here. Then when I worked for Benefit for a short while my love for the primer grew, mainly from having to wear it everyday! I was just so glad that I had something that not only made my skin look amazing, but that protected it from all the makeup that I was piling onto my face (unfortunately working on a counter does that to you). As you can see from the above photo, side by side the primers look completely different. 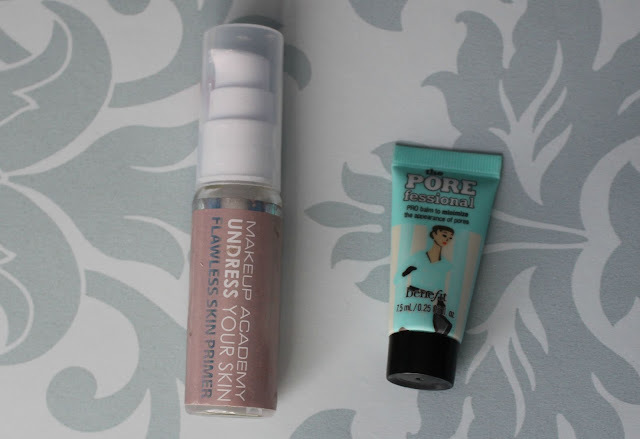 POREfessional has an fleshy colour, whilst the MUA primer is clear. So what really are the differences between the two? Packaging: Porefession comes in a tube and the packaging is bright and fun and easily recognisable (probably one of the reasons it does so well), whilst the MUA primer comes in a bottle with a pump, and honestly I wouldn't give the packaging a second look, it's pretty dull! Smell: POREfessional has a very lovely fruity kind of smell to it, whilst the MUA primer is odourless. 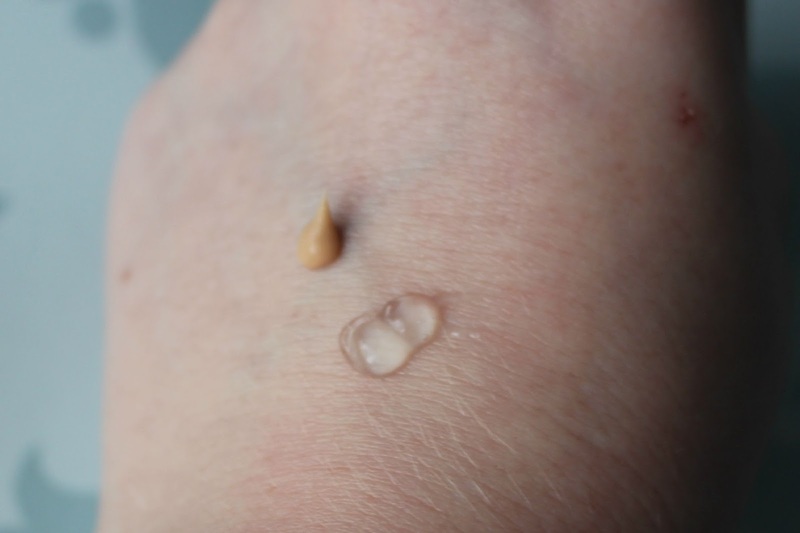 Consistency: The MUA Primer is thicker than the POREfessional, but I honestly don't think that effects the way in which it performs, to me it simply means that I would need to use less product to get the same effect. Pore Visability: Both minimise your pores equally well in my opinion. Feeling on skin: The POREfessional sinks into the skin very quickly and makes your skin feel silky. The MUA primer feels a lot more 'slippy' on the skin to me, and takes slightly longer to sink into the skin, but once it does the feeling is similar to POREfessional. Price: A full sized tube of POREfessional contains 22ml of product and costs £24.50 whilst the MUA primer contains 15ml of product and costs £5... that's a considerable difference! I'll be entirely honest, both of these products do exactly the same thing, and it's hard for me to se the difference once they are both applied. Considering you could buy almost 5 of the MUA primers for the cost of one POREfessional, it's really a no-brainer for me.